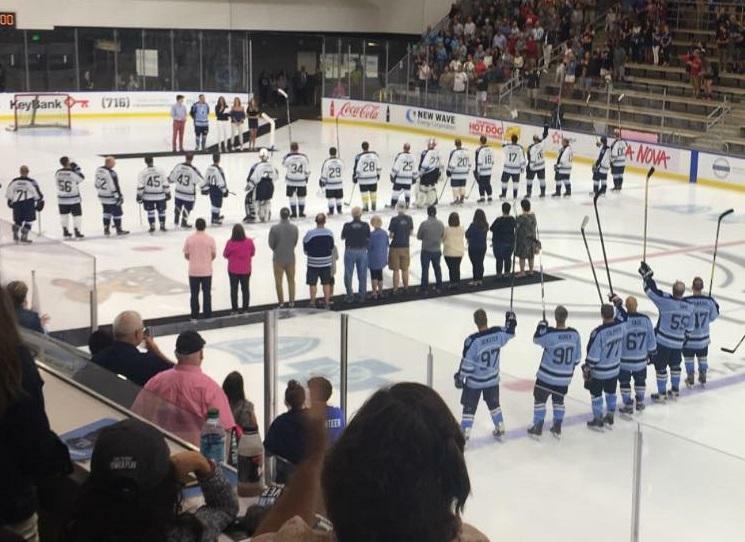 The 11-Day Power Play kicked off with a tribute to some of those lost to cancer over the past year before a full crowd at HarborCenter last night. The hockey marathon founded by Mike and Amy Lesakowski also reached its $1 million goal for cancer research on its first day again. Hockey can be a rough-and-tumble game and culture. Here in Western New York, though, it's proving to be a frontier for gay pride and acceptance. 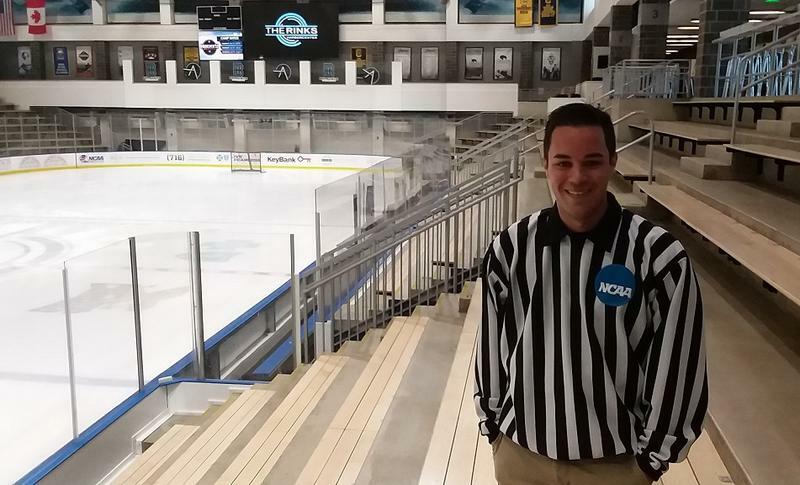 Alex Valvo, an on-ice official whose work includes NCAA Division I games, recently spoke with WBFO about his decision to reveal himself as a gay person. For hockey parents, sending young players away to improve their skill is a normal occurrence. 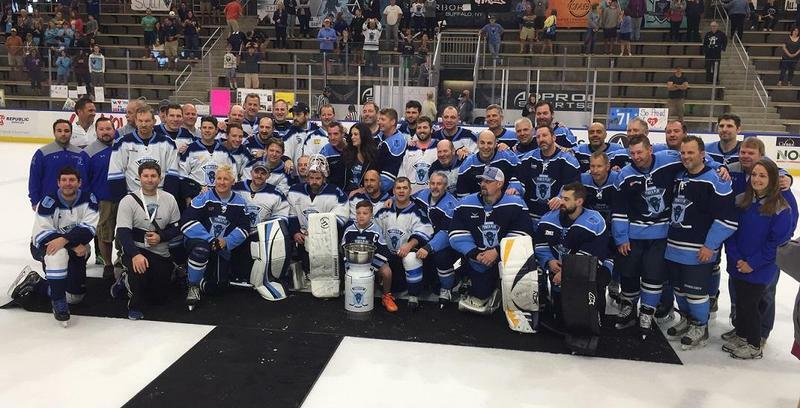 The last thing you would expect is for tragedy to strike off the ice, but now the hockey community in Western New York has been stunned by a fatal crash involving a Canadian team's bus. 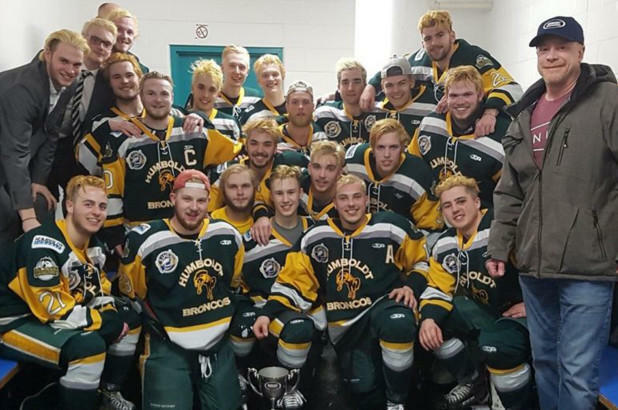 A bus carrying a Canadian junior hockey team crashed on the way to a game Friday, killing 14 people. 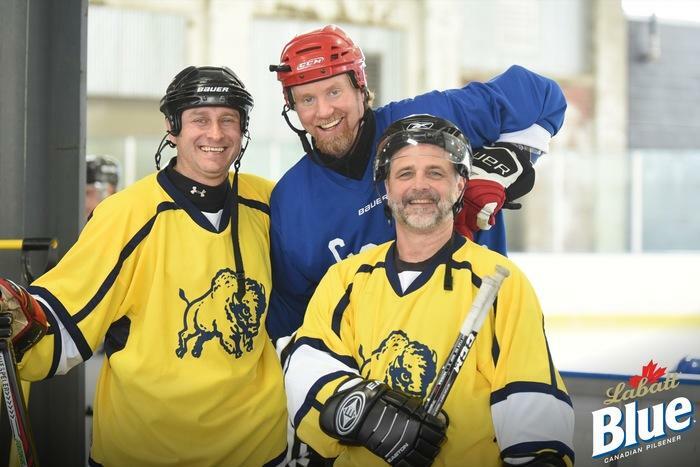 Buffalo Riverworks has hosted the Labatt Blue Buffalo Pond Hockey Tournament since 2014. This year they are doing something a little different. On this week's edition of WBFO's Behind The Bench, Buffalo Sabres reporter Bill Hoppe talks about the mood around the team coming out of its bye week, the improving play of Kyle Okposo, and continuing trade rumors involving high-scoring forward Evander Kane. On this week's edition of WBFO's Behind The Bench, Buffalo Sabres reporter Bill Hoppe talks about the Winter Classic, played on New Year's Day at Citi Field in New York City, a Sabres draft pick who is making a big impression in the World Junior tournament and a couple of players with Sabres ties who will be playing for Team USA in next month's Winter Olympics. 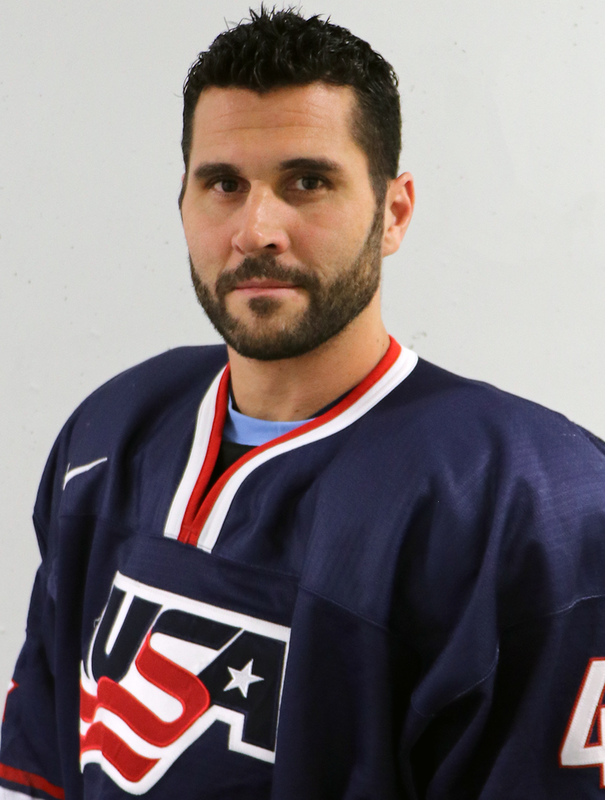 USA Hockey announced the first 23 players of its 2018 U.S. Olympic Men’s Ice Hockey Team Monday and they will be led by a former Buffalo Sabres captain. The world’s best youth hockey players have arrived in Buffalo. Tuesday is the start of the 2018 IIHF World Juniors. The husband-wife owners of the Buffalo Bills and Buffalo Bills have acquired another local sports team. Terry and Kim Pegula announced Thursday they have purchased the Buffalo Beauts of the National Women’s Hockey League. On this week's edition of WBFO's Behind The Bench, Buffalo Sabres reporter Bill Hoppe talks about the team's inability to give goalie Robin Lehner goal support at home, the continuing struggles of high draft pick Sam Reinhart, and a special night for star forward Jack Eichel that could have been more special. 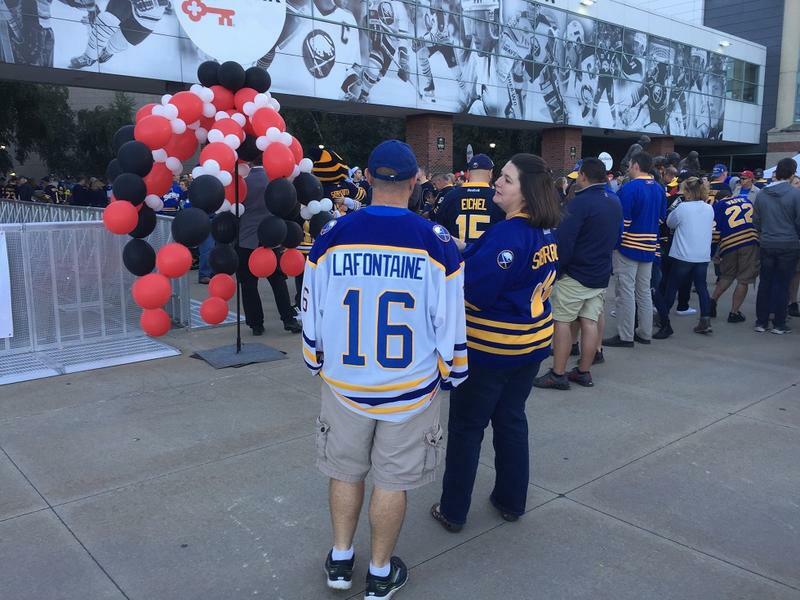 There hasn’t been much to look forward to this year for Buffalo Sabres fans. 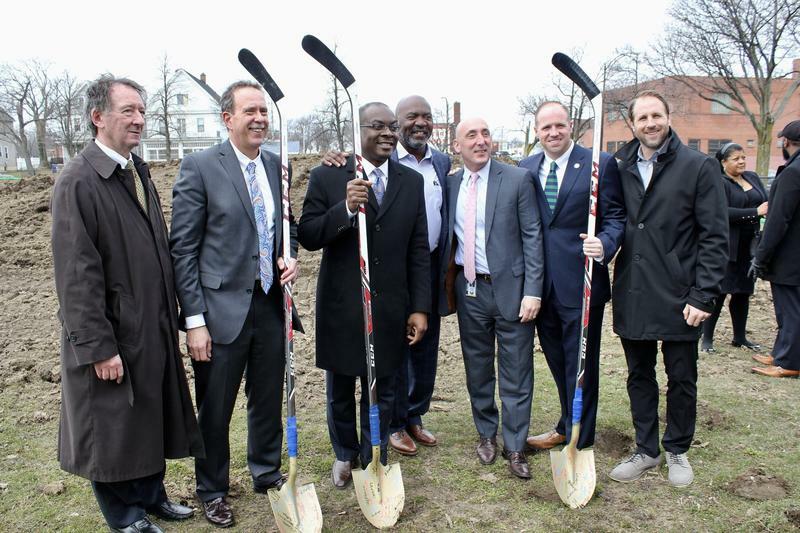 Lucky for them, the 2018 NHL Winter Classic is just two weeks away. On this week's edition of WBFO's Behind The Bench, Buffalo Sabres reporter Bill Hoppe talks about what he calls the team's "best week this season, by far," with the Sabres going 2-0-2 in their last four games. Who and what are responsible for the recent success? Bill shares his thoughts on his weekly chat about the team. On this week's edition of WBFO's Behind The Bench, Buffalo Sabres reporter Bill Hoppe talks about the team's waiving of veteran Matt Moulson, its acquisition of Stanley Cup-winning forward Scott Wilson and Tuesday's win in Colorado, where the last-place Sabres snapped a four-game losing streak. On this week's edition on WBFO's Behind The Bench, Buffalo Sabres reporter Bill Hoppe talks more about the team's dreadful season and a run that has seen it win just one of their last ten games. How have things gotten so bad? Are there any signs of hope on the horizon? And how much blame, if any, should coach Phil Housley shoulder? On this week's Behind The Bench, Buffalo Sabres reporter Bill Hoppe talks about Tuesday night's 5-4 overtime loss in Pittsburgh, the lack of offense from the team's defensemen, and Dave Andreychuk's induction into the Hockey Hall of Fame. On this week's Behind The Bench, Buffalo Sabres reporter Bill Hoppe talks about the recent success of forward Benoit Pouliot, who scored the game-winning goal Tuesday against Washington, some odd-sounding comments from head coach Phil Housley following an ugly loss in Dallas, and former Sabres captain Brian Gionta, who will likely represent Team USA at the upcoming Winter Olympics in South Korea. On this week's edition of WBFO's Behind The Bench, Buffalo Sabres reporter Bill Hoppe talks what the team has been up to in a quiet week, the Sabres' last game against the San Jose Sharks, which included a controversial "no goal," and what coach Phil Housley thinks the team can learn from their crosstown counterparts, the Buffalo Bills. On this week's edition of WBFO's Behind The Bench, Buffalo Sabres reporter Bill Hoppe talks about the past week's games, which include a big comeback win in Boston and shutout over Detroit, as well as the early season struggles of forward Kyle Okposo. The Buffalo Sabres are back home after having completed a four-game western road trip. The team got its first win of the season, but bring a disappointing 1-4-2 record into their next home game, Friday against the Vancouver Canucks. On this week's Behind The Bench, Bill Hoppe talks about what Sabres fans who weren't able to stay up for the late night games may have missed. He also discusses two players who badly needed to get on the score sheet, Ryan O'Reilly and Sam Reinhart. The 2017-18 season is off to a rocky start for the Buffalo Sabres, who are 0-2-1 in their first three games. 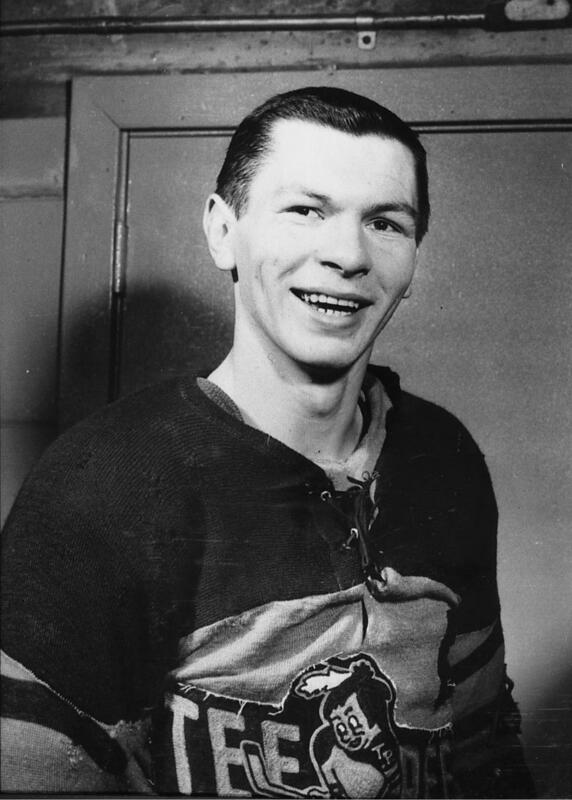 After a solid debut against the Montreal Canadiens, the team suffered two ugly losses to the New York Islanders and New Jersey Devils, giving up six goals in each game. 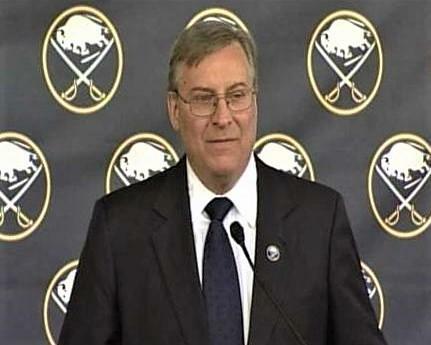 Sabres reporter Bill Hoppe talks about what's gone wrong in this week's edition of WBFO's Behind The Bench. The Buffalo Sabres open the 2017-2018 season Thursday evening with a game against the Montreal Canadiens at KeyBank Center and with the new season comes the return of WBFO's Behind The Bench, our weekly conversation with Sabres reporter Bill Hoppe. On the season premiere, Bill talks about Jack Eichel's big new contract extension, what to expect from new head coach Phil Housley, changes to the team's roster, and Bill gives his prediction on whether the Sabres will finally break their six-season postseason drought. 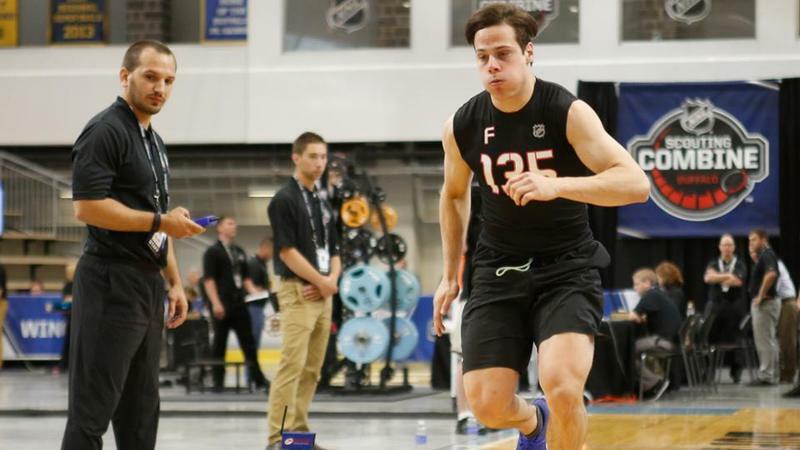 The NHL Scouting Combine is in Buffalo this weekend. With it comes the Stanley Cup and more than 100 young players looking to impress teams before the 2017 NHL Draft later this month in Chicago. There's a Western New York connection to this year's Stanley Cup Finals. Calling play-by-play for the Nashville Predators in the current hockey championship is a former longtime Buffalo broadcaster who previously called local hockey and baseball games. 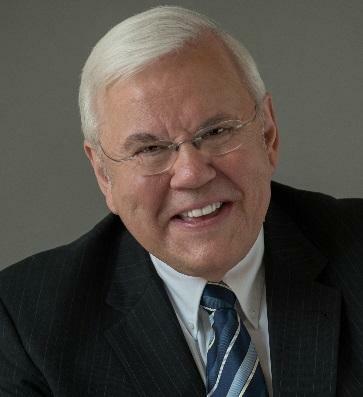 Listen to WBFO's Michael Mroziak in conversation with Pete Weber, former Buffalo Sabres and Bisons broadcaster who is now the play-by-play announcer for the National Hockey League's Nashville Predators.